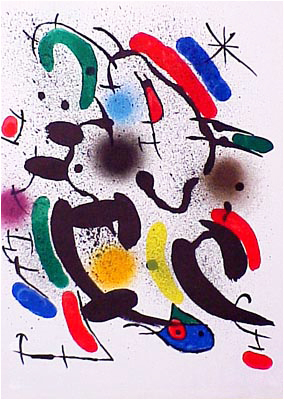 Joan Miró's colorful art veers toward abstraction but always maintains a connection to nature, humanity and the cosmos. 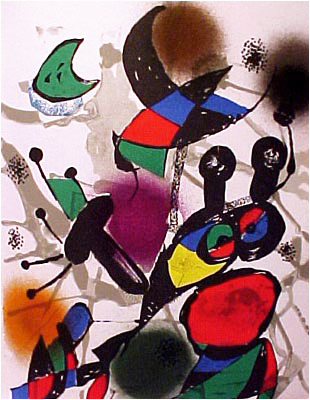 His work had a surrealist tendency such that the realms of the memory and imaginative fantasy were twin poles around which Miró's art has evolved. 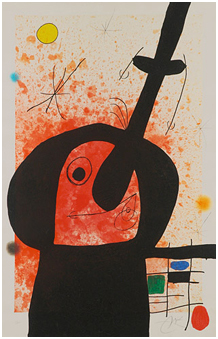 Regarded as one of the most influential 20th century artists, Miró's work continues to be among the more desirable with fine art collectors. 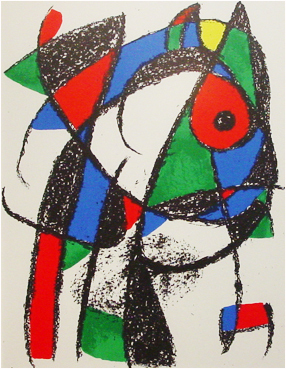 This serie of 14 lithographs maintains his tradition of visual symbolic language; conjuring primary colors and form transformations that stir each viewer differently. 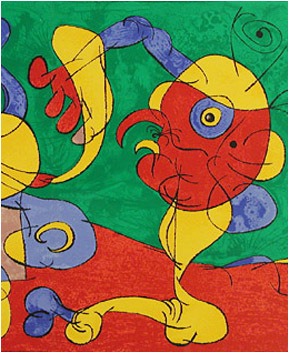 Ubu Roi (King Ubu),written by Alfred Jarry was premiered in 1896, and was widely embraced by the Absurdist, Dada and Surrealist art movements. 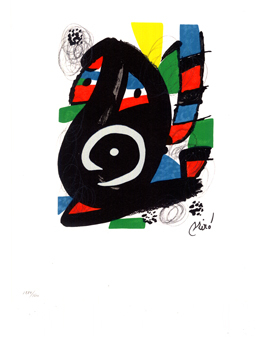 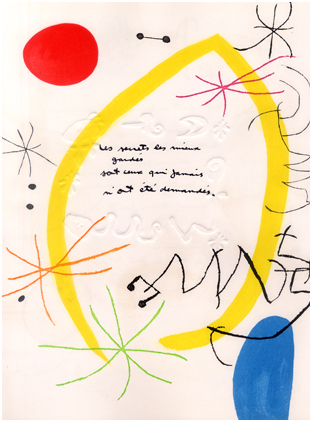 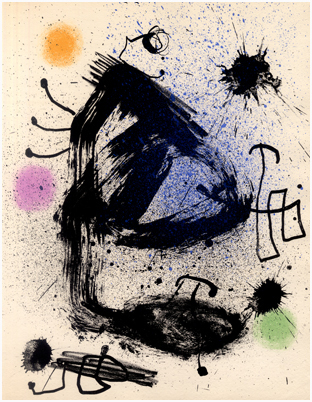 The suite consists of 13 lithographs and is one of the most sought after works by Miró.